This full tang, stainless steel blade comes slightly sharpened wiwth a 27" Total length. The guard features a cut-out design and the handle has a comfortable black cord wrap. 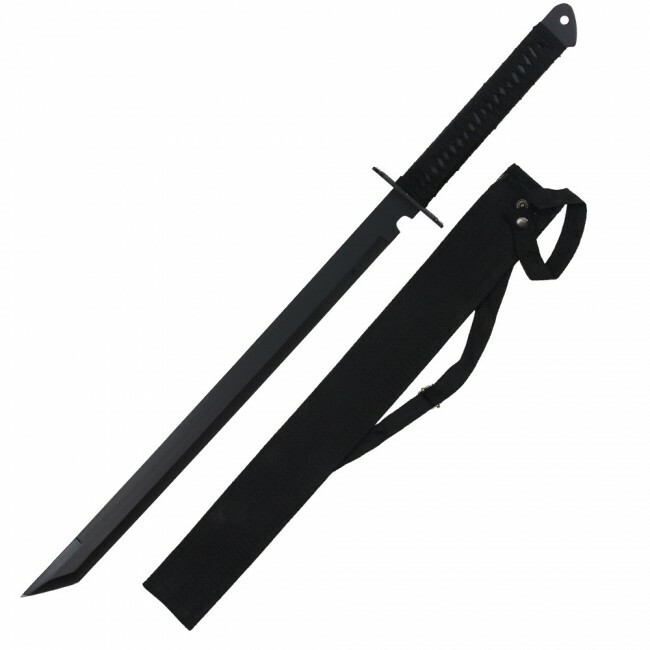 This Ninja blade includes a nylon case with shoulder strap to keep your blade protected.